Police respond to a barricade situation in the Little Village neighborhood Monday morning. 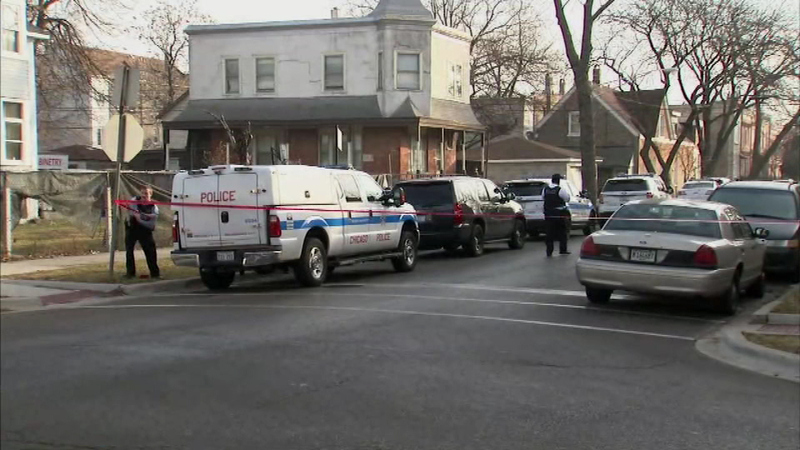 CHICAGO (WLS) -- A 68-year-old man was found dead Monday afternoon following a barricade situation in Chicago's Little Village neighborhood, police said. The man was shot in the head and a weapon was recovered at the scene. A 37-year-old man was in custody, police said. The approximately four-hour barricade situation involved a man in a house in the 3400-block of West 23rd Street, ending at about noon. Police responded to the house after a reported domestic disturbance involving two men. The man formerly worked for a security guard for AASI Security Services at an apartment complex in south suburban University Park, according to John E. Pate, the village's police chief. Pate said that the man was never affiliated with the University Park Police Department, despite earlier reports. The man was fired from AASI Security two years ago and works for another security company, Pate said.